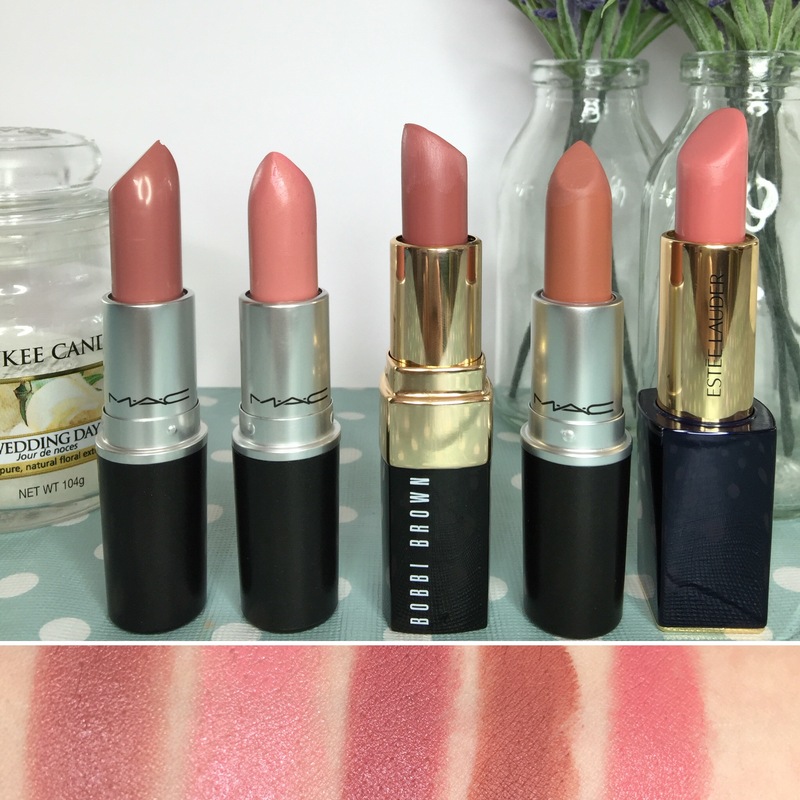 MAC - Modesty – This is probably my most loved bridal lipstick, a subtle, muted neutral pink. Great for brides that just want a ‘your lips but better’ look and nothing too pink. It’s in one of my favourite MAC lipstick formulas; Cremesheen, which are so comfortable to wear and very flattering on the lip. A great compromise for someone who loves a glossy lip but needs more staying power. Also great if your groom hates sticky, glossy lips! MAC – Crème Cup – Such a pretty pink, fresh and youthful. It’s a light blue pink in the Cremesheen formula. Great for brides with a paler skin tone and very pretty on bridesmaids especially for spring weddings. Bobbi Brown – Sandwash Pink – This is the lipstick Kate Middleton chose to wear on her wedding day! I say, if it’s fit for a princess it’s fit for my brides! Also a favourite of the gorgeous Michelle Keegan! Such a stunning beige pink. Suits all skin tones and perfect for a vintage bride wanting the very popular dusky rose lip. MAC – Velvet Teddy – This is currently one of MAC’s best-selling lipsticks. It’s a gorgeous deep-tone beige in one of their matte formulas. Matte lipsticks are super long lasting but they can be a little drying and not very forgiving on cracked, dry or chapped lips so be sure to exfoliate your lips with something like one of the LUSH Lip Scrubs (I love the popcorn one!) before you apply the lipstick to get rid of any dry/dead skin and create a good base for the lipstick. Estee Lauder – Pure colour envy sculpting lipstick in the shade Impulsive – This is the lipstick I chose to wear on my own wedding day. I love the pure colour envy lipsticks as they are so hydrating with their time-released moisture complex, so look beautiful on the lip and one of the most comfortable lipsticks to wear. These lipsticks feel so luxurious. Considering they are so moisturising they have really great staying power too! So an all-round winner in my opinion! So there you go, my top 5 bridal lipsticks! Leave me a comment telling me what your favourite lipsticks are and if you feel I have missed a must have bridal lipstick from my top 5 let me know! In my opinion you can never have too many lipsticks so I’m always looking for recommendations for lipsticks I should add to my kit!